BEST HOOD CLEANING in Sacramento, California is known for its excellent customer service and tendency to go above and beyond the duties that come with hood cleaning. 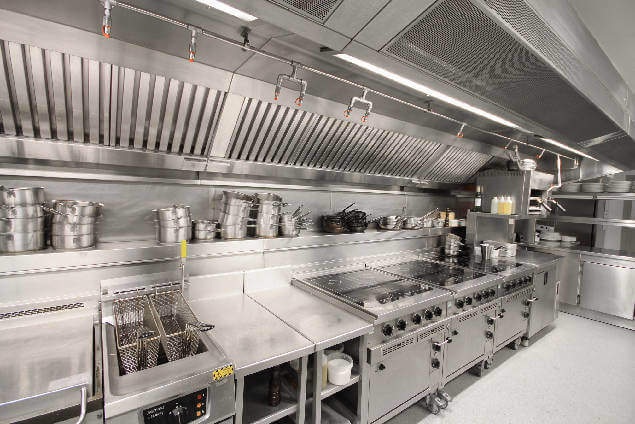 We will inspect your restaurant kitchen system and clean it. We strive to excel in the business and ensure business owners that their kitchen will be a safe and clean place to prepare food. BEST HOOD CLEANING separates itself from other Sacramento hood cleaners by inspecting and cleaning the entire system beyond the hood. 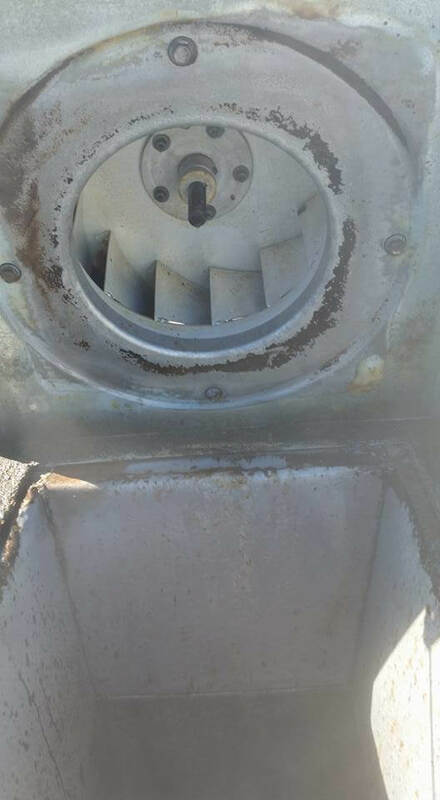 Our kitchen exhaust system cleaning ALWAYS includes cleaning the fan(s) on the roof, all accessible duct from the roof to the kitchen exhaust hood, the interior and exterior of the exhaust hood, and the grease baffle filters. Look, we know how important it is to have a sanitary and safe kitchen to prepare food in. A dirty hood system can result in a multitude of problems—fire, pests, odor, and more. Let us help you sleep at night knowing that you have one of the cleanest kitchen cooking systems in Sacramento. We also have our 'sister company' which is ProCo Hood Cleaning in Denver. Great bunch of guys on that team. We share tips and information on how to better serve our clients with them all the time. WE ARE PROFESSIONAL HOOD CLEANERS, AND WE’LL ACT LIKE IT. Though we do like a joke every now and then, you don’t have to worry about us coming into your kitchen and messing around. We are here to do business and we’re here to do it right. Our Sacramento hood cleaning technicians will treat you, your employees and any customers that we may interact with respect. We will educate you on proper procedures that need to take place during your kitchen exhaust system cleaning. This way, we can ensure the safety and well being of you, your employees, and customers. Each hood system is different, and it may require a different procedure than Joe’s restaurant down the street. The good news for you is that we are experienced kitchen exhaust cleaning professionals and we have worked on various models of kitchen hoods. Some restaurant are blessed with brand new kitchen equipment, and others are blessed with hand-me downs that were in the building when they bought it. We are experienced in working on old and new kitchen hood systems. If you’re looking for hood cleaning professionals who are the best, most professional, and truly excel in kitchen system cleaning and maintenance, call us at 916-347-5300. We will set up an appointment with you and get down to business. LET US SHOW YOU WHAT THE BEST HOOD CLEANING LOOKS LIKE. There can’t be a whole lot that’s much more embarrassing than a CEO or a board of health auditor walking through the kitchen to see a grease-stained mess. Let’s face it. Running a commercial kitchen on a daily basis is a dirty job. 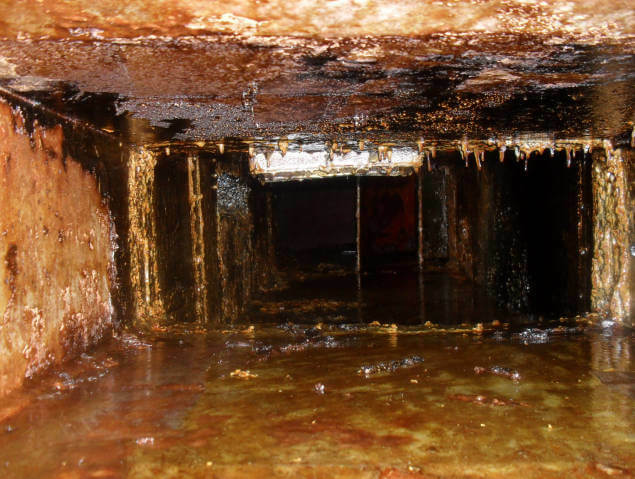 Food particles are constantly flung about, grease is gravitating into areas that you wouldn’t dream of, and grimy build-up can happen in no time at all. 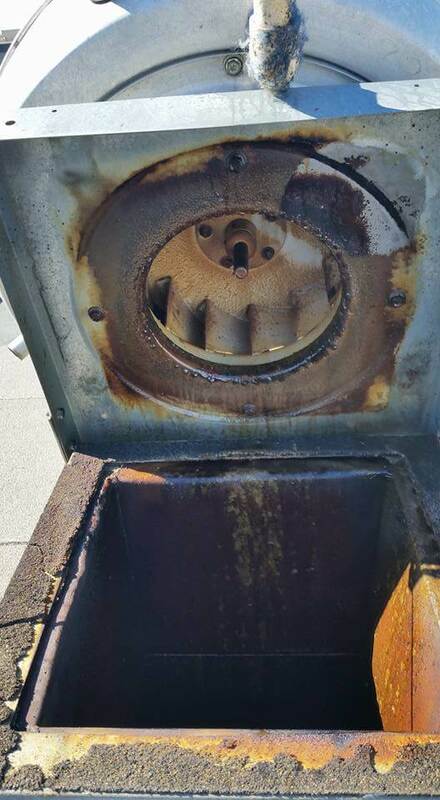 The grime continues to accumulate, which affects the functionality of your kitchen exhaust, which affects the quality of your food, the customer satisfaction, the auditor’s satisfaction, and wow. Talk about a domino effect. Don’t be that restaurant that headlines the local news for bad grades. The good news for you is that by choosing BEST HOOD CLEANING, you’re getting quality work by true hood system professionals. This is the one thing that you don’t have to scramble about doing each night before closing. We will do the hardest and dirtiest job there is to do in your restaurant kitchen, and it will impress any CEO or auditor immediately. 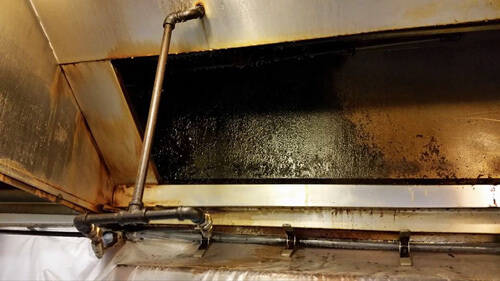 Many times, restaurant managers don’t realize how dirty the kitchen hood system is because they see it every day. Well, they see parts of it every day. The other parts are unseen for quite some time, and are probably pretty scary. Our hood cleaning technicians will evaluate the hood system, exhaust and kitchen fans and then educate you on their condition. Then we will clean them…really good.